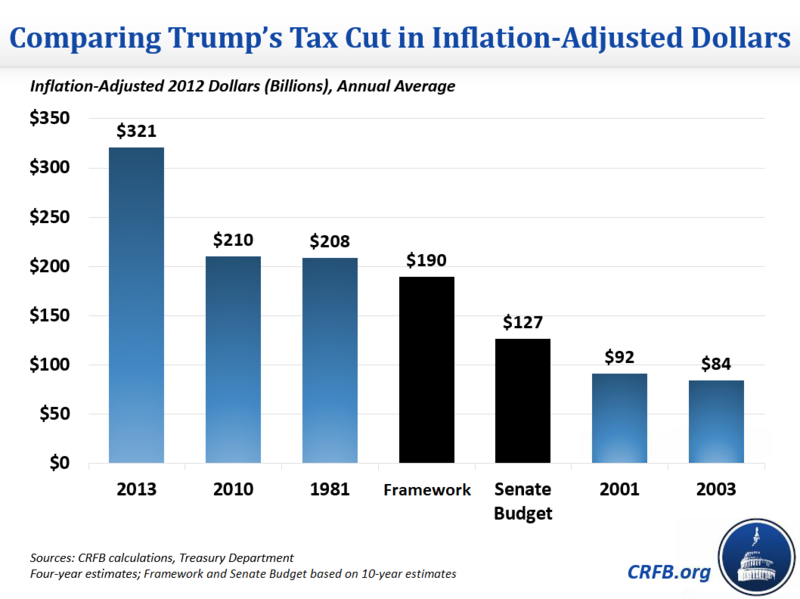 Home » Blogs » Is President Trump's Tax Cut the Largest in History Yet? President Trump has often stated that his proposed tax cut will be the largest in history. We previously found his $5.5 trillion framework in April would have been among the largest but not the largest. Now that the plan costs less than half as much, it would definitely not be the largest in history. Most recently, Trump called it the "biggest tax cut in U.S. history" in a tweet Wednesday morning . We very roughly estimated that the Big Six framework for President Trump's proposed tax cut could cost $2.2 trillion over ten years, though many details are still missing. That would make this tax cut the 8th largest as a percent of Gross Domestic Product (GDP) since 1918 and the 4th largest in inflation-adjusted dollars. If the bill was instead limited to the $1.5 trillion cost allowed by the Senate budget resolution, it would be the 12th largest as a percent of GDP and 4th largest in real dollars. To evaluate this claim, we use a 2013 Treasury Department analysis that compares the projected revenue effect of major tax bills since 1940. The analysis uses one-year estimates for laws enacted between 1940 and 1967, two-year estimates for laws enacted between 1968 and 1977, and four-year estimates for laws enacted since 1978. For estimates of tax bills before 1940, we use a paper by Christina Romer and David Romer that uses one-year estimates. As a percent of GDP, the largest tax cut since 1918 was the 1981 tax cut enacted at the beginning of the Reagan Administration. This tax cut cost 2.9 percent of GDP over four years, and the cost of the bill would have grown significantly over time, reaching 4.2 percent in the fourth year (though Congress partially reversed those cuts in later years). 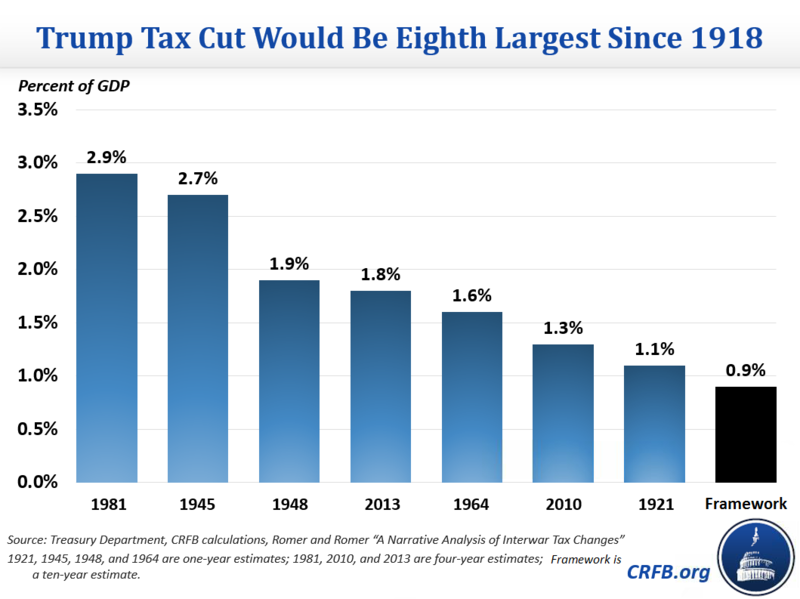 The second-largest cut was in 1945 when lawmakers rolled back some of the revenue increases that had been enacted to fund World War II; this tax cut cost 2.7 percent of GDP in the year after its enactment. If President Trump wanted to pass a tax cut that exceeds the record 2.9 percent of the economy in 1981, it would cost roughly $6.8 trillion over ten years. 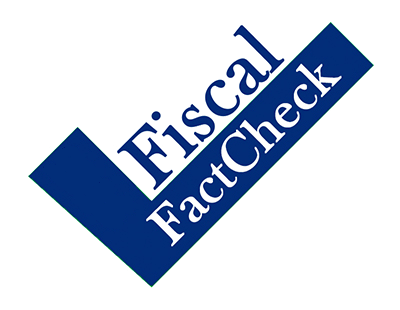 By another measure, the 1981 tax cut reduced federal revenue by 13 percent. If President Trump wanted to reduce revenue by as much, it would cost roughly $5.7 trillion. By either measure, the unified framework that costs $2.2 trillion by our estimate would fall well short of the largest tax cut in history. Meanwhile, President Trump's tax cut would be the 4th largest in inflation-adjusted dollars since 1940. Notably, four out of the five largest tax cuts in history in inflation-adjusted dollars have taken place in the past 16 years. This measure tends to have a bias towards recent tax cuts since the tax base usually grows faster than inflation. Therefore, a 5 percent cut in individual income taxes would cost more now in inflation-adjusted dollars than it would in previous years. Because of this trend, cost as a percent of GDP is a better way to compare costs over long time periods. President Trump's proposed tax cut would not be the largest tax cut in history, nor should it be. In light of rising debt and deficits, lawmakers should pursue at least revenue-neutral tax reform to grow the economy, not expensive tax cuts that do not pay for themselves.